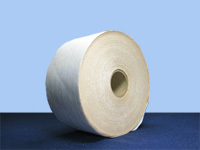 Gummed tape is reinforced paper tape with fiberglass threads added for increase strength. 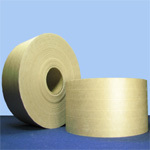 Gummed tape is commonly used in many packaging applications. The fiberglass reinforced paper tape can handle heavy load boxes. 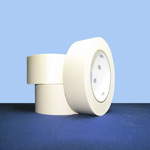 Gummed tape requires a special dispenser for application. The adhesive is water based for strong binding to the corrugated box. 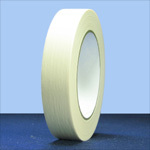 Gummed tape provides an attractive closure for the packaged product. 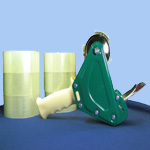 Boatman Marking offers a full line of gummed tapes for packaging.